Hamisa Mobetto is not yet done, she continues pulling out all the evidence. In the above pic, all the intentions are written all over them. The Marry you singer looks very tired as Hamisa records the moment away. What is clear now is that Hamisa was not only a video vixen, but also a confidant that the singer had trusted with so much and oh yes, the Tanzanian socialite had done exactly that until recently when the singer told the mom of his two children that he was not the biological father of Hamisa's child. This has disturbed Hamisa to the point of releasing cozy pics, short clips of the two during happy times to counter the remarks that Platnumz used when she named the baby after him. "Bi+_h is dying for fame," were the words Diamond Platnumz used. Hamisa's acts are pointing more to the fact that she was there way before Zari and Platnumz's close family members know her and she is no side chic as many have been made to believe. In the clips doing rounds, Platnumz and Hamisa look very happy together, she has clips while pregnant at the singer's Wasafi Records studios and they wonder why she could be allowed to access those offices in that state, she has a clip with a singer looking all tired in a car and in all this she is saying I'm no side chic and if Iam, so is Zari. "We both have children and he is married to none of us, what makes me a side chic! Hamisa asks!!" Diamond Platnumz will be appearing on Clouds FM later today where he is expected to speak out on the mess around his love life. On the other hand, Zari is so broken to the extent of seeking solace in horses. 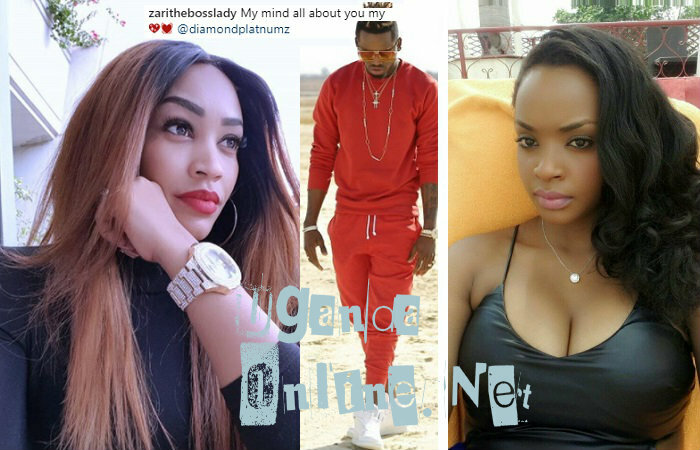 Before Diamond Platnumz got involved with Zari, he was dating Wema Sepetu and that is where Zari focused her attention by unleashing her social media army. Wema kept cool, but when she came out to comment, she wondered why Zari was concentrating on her [Wema] alone and yet Diamond had a string of ex-lovers out there. She concluded by asking her to avail DNA results to ascertain if Platnumz was the father of their first child. 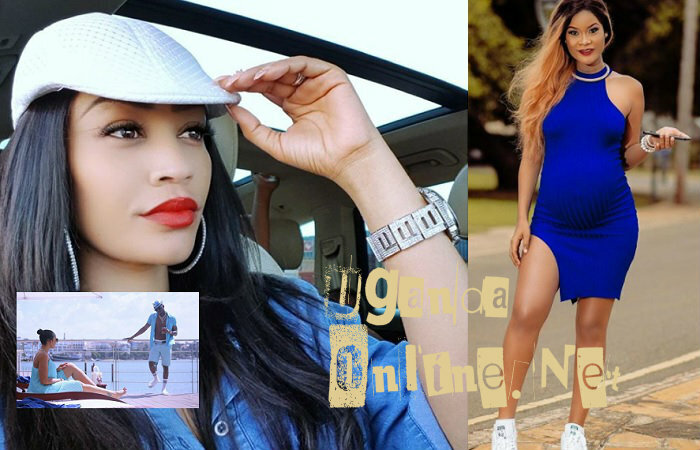 When Zari gave birth to Diamond Platnumz second child, it looked like she had conquered his heart, but this model who happens to be a stone throw away from Diamond while Zari is busy running errands in South Africa at her ex-husband school has proved to be a pain in her flesh. As if that is not enough, the chain appears to be growing longer with Dillish Matthews joining the queue.